First of all, what is the point of these containers? Well, at its core, remember SAS and it’s massively parallel, in-memory counterpart, Cloud Analytic Services (CAS) is a powerful runtime for data processing and analytics. A runtime simply being an engine responsible for processing and executing a particular type of code (i.e. SAS code). Traditionally, the SAS runtime would live on a centralized server somewhere and users would submit their “jobs” to that SAS runtime (server) in a variety of ways. The SAS server supports a number of different products, tasks, etc. – but for this discussion let’s just focus on the scenario where a job here is a “.sas” file, perhaps developed in an IDE-like Enterprise Guide or SAS Studio, and submitted to the SAS runtime engine via the IDE itself, a bash shell, or maybe even SAS’ enterprise grade scheduler and job management solution – SAS Grid. In these cases, the SAS and CAS servers are on dedicated, always-on physical servers. The brave new containerized world in which we live provides us a new deployment model: submit the job and create the runtime server at the same time. Plus, only consume the exact resources from the host machine or the Kubernetes cluster the specific job requires. And when the job finishes, release those resources for others to use. Kubernetes and PaaS clusters are quite likely shared environments, and one of the major themes in the rise of the containers is the further abstraction between hardware and software. 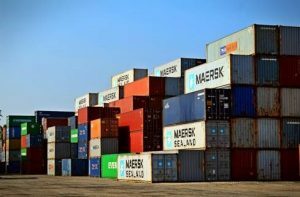 Some of that may be easier said than done, particularly for customers with very large volumes of jobs to manage, but it is indeed possible today with SAS Viya on Docker/Kubernetes. Another effective (and more immediate) usage of this containerized version of SAS Viya is simply an adhoc, on-demand, temporary development environment. The container package includes SAS Studio, so one can quickly spin up a full SAS Viya programming sandbox – SAS Studio as well as the SAS & CAS runtimes. Here they can develop and test SAS code, and just as quickly tear the environment down when no longer needed. This is useful for users that: (a) don’t have access to an “always-on” environment for whatever reason, (b) want to try out experimental code that could potentially consume resources from a shared "always-on" sas environment, and/or (c) maybe their Kubernetes cluster has many more resources available than their always-on and they want to try a BIG job. Yes, it is possible to deploy the entire SAS Viya stack (microservices and all) via Kubernetes but that discussion is for another day. 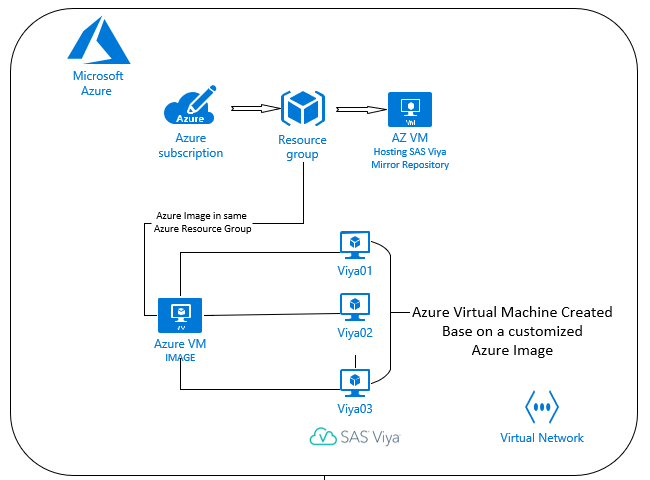 This post focuses strictly on the SAS Viya programming components and running on a single machine Docker host rather than a Kubernetes cluster. The final docker container image we will end up with will be ~10GB in size and like all docker images will live in /var/lib/docker/images by default. Yes, that is large for a container. Most of this size is just static bins and libs that support the very developed SAS language. Compare to an Anaconda image which is ~3.6GB. As for RAM, remember any tables loaded to CAS are loaded to memory (and will swap to disk as needed). So, your memory choice should be directly dependent on the data sizes you expect to work with. Similar story for cores – CAS code is multithreaded, so more cores = more parallelization. The first step is to install Docker. Following along with sas-container-recipes now, the first thing I should do is mirror the repo for my order. Note, this is not a required step – you could build this container directly from SAS repos if you wanted, but we’ll mirror as a best practice. We could simply mirror and serve it over the local filesystem of our build host, but since I promised color I’ll serve it over the web instead. So, these commands run on a separate RHEL server. If you choose to mirror on your build host, make sure you have the disk space (~30GB should be plenty). 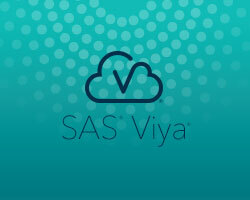 You will also need your SAS_Viya_deployment_data.zip file available on the SAS Customer Support site. Run the following code to execute the setup. Next, I go ahead and clone the sas-containers-recipes repo locally and upload my SAS-Viya-deployment-data.zip file and I am ready to run the build command. As a bonus, I am also going to use my site’s (SAS’) sssd.conf file so my container will use our corporate Active Directory for authentication. If you do not need or want that integration you can skip the “vi addons/sssd.conf” line and change the “--addons” option to “addons/auth-demo” so your container seeds with a single “sasdemo:sasdemo” user:password instead. The build should take about 45 minutes and produce a single container image for you (there might be a few images, but it is just one with a thin layer or two on top). You might want to give this image a new name (docker tag) and push it into your own private registry (docker push). Aside from that, we are ready to run it. If you are curious, look in the addons directory for the other optional layers you can add to your container. Several tools are available for easily configuring connections to external databases. Here is the run command we can use to launch the container. Note the image name I use here is “sas-viya-programming:xxxxxx” – this is the image that has my sssd layer built on top of it. And now, in a web browser, I can go to :8081/SASStudio and I will end up in SAS Studio, where I can sign in with my internal SAS credentials. To stop the container, use the name you gave it: “docker stop sas-viya-programming”. Because we used the “--rm” flag the container will be removed (completely destroyed) when we stop it. Note we are explicitly mapping in the HTTP port (8081:80) so we easily know how to get to SAS Studio. If you want to start up another container here on the same host, you will need to use a different port or else you’ll get an address already in use error. 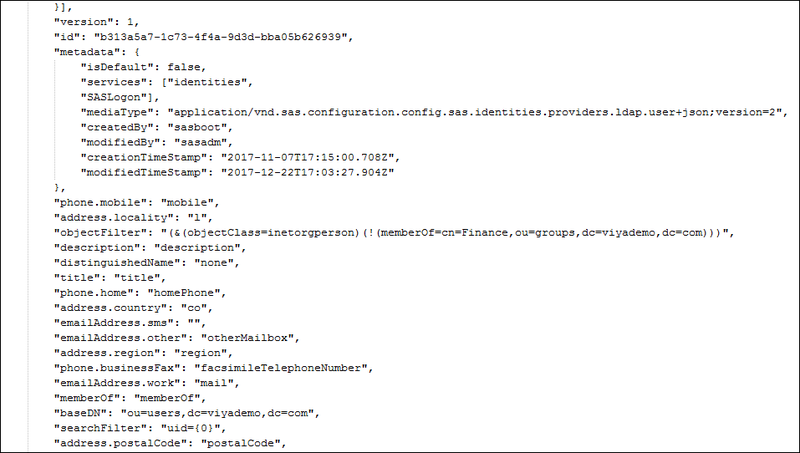 Also note we might be interested in connecting directly to this CAS server from something other than SAS Studio (localhost). A remote python client for example. We can use the other port we mapped in (5570:5570) to connect to the CAS server. /tmp – this is where CAS_DISK_CACHE is by default, not to mention SASWORK. Those are scratch space used by the runtimes. If you are working with small data and don’t care too much about performance, no need to worry about this. But to optimize your container we would suggest mounting a Docker volume to this location (or, ideally, bind mount a high-performance storage device here). Note that generally Docker prefers us to use Docker volumes in lieu of bind mounts, but that is more for manageability, security, and portability than performance. /code – same spiel as with /data. Once you are in the container you can save your work and it will persist in the docker volume from run to run of your container. Can I run this on my laptop? Yes. You would just need to install Docker on your laptop (go to docker.com for that). You can certainly follow the instructions from the top to build and run locally. You can even push this container image out to an internal registry so other users could skip the build and just run. So far, we have only talked about the “ad-hoc” or “sandbox” dev type of use case for this container. A later article may cover how to run in batch mode or maybe we will move straight to multi-containers & Kubernetes. In the meantime though, here is how to submit a .sas program as a batch job to this single container we have built. Try creating your own image and deploying a container. Feel free to comment on your experience. SAS Global Forum Paper- Docker Toolkit for Data Scientists – How to Start Doing Data Science in Minutes! Getting Started with SAS Containers was published on SAS Users. 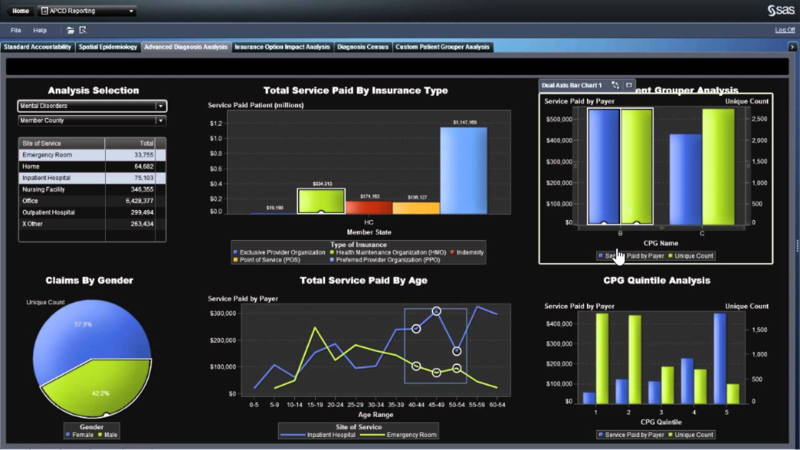 You'll notice several changes in SAS Grid Manager with the release of SAS 9.4M6. For the first time, you can get a grid solution entirely written by SAS, with no dependence on any external or third-party grid provider. This post gives a brief architectural description of the new SAS grid provider, including all major components and their role. The “traditional” SAS Grid Manager for Platform has seen some architectural changes too; they are detailed at the bottom. 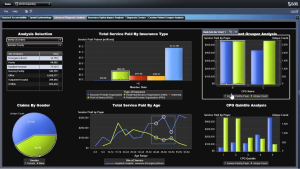 SAS Grid Manager is a complex offering, composed of different layers of software. The following picture shows a very simple, high-level view. SAS Infrastructure here represents the SAS Platform, for example the SAS Metadata Server, SAS Middle Tier, etc. They service the execution of computing tasks, whether a batch process, a SAS Workspace server, and so on. In a grid environment these computing tasks are distributed on multiple hosts, and orchestrated/managed/coordinated by a layer of software that we can generically call Grid Infrastructure or Grid Middleware. That’s basically a set of lower-level components that sit between computing processes and the operating system. Since its initial design more than a decade ago, the SAS Grid Manager offering has always been able to leverage different grid infrastructure providers, thanks to an abstraction layer that makes them transparent to end-user client software. Our strategic grid middleware has been, since the beginning, Platform Suite for SAS, provided by Platform Computing (now part of IBM). A few years ago, with the release of SAS 9.4M3, SAS started delivering an additional grid provider, SAS Grid Manager for Hadoop, tailored to grid environments co-located with Hadoop. The latest version, SAS 9.4M6, opens up choices with the introduction of a new, totally SAS-developed grid provider. What’s its name? Well, since it’s SAS’s grid provider, we use the simplest one: SAS Grid Manager. To avoid confusion, what we used to call SAS Grid Manager has been renamed SAS Grid Manager for Platform. •	Is streamlined specifically for SAS workloads. •	Is easier to install (simply use the SAS Deployment Wizard (SDW) and administer. o	Third-party compute workloads like open source. o	SAS Viya (in a future release). •	Reduces dependence of SAS Grid Manager on third party technologies. So what are the new components? These are the new components, delivered together with others also available in previous releases and with other providers, such as the Grid Manager Thin Client Utility (a.k.a. SASGSUB), the SAS Grid Manager Agent Plug-in, etc. Let’s see these new components in more detail. •	Monitors hosts and spreads the load. •	Is installed and runs on all machines in the cluster (but is not required on dedicated Metadata Server or Middle-tier hosts). A notable difference, when compared to LSF, is that the SAS Workload Orchestrator is a single daemon, with its configuration stored in a single text file in json format. Redeveloped for modern workloads, the new grid provider can schedule more types of jobs, beyond just SAS jobs. In fact, you can use it to schedule ANY job, including open source code running in Python, R or any other language. •	It passes commands to the SAS Workload Orchestrator at certain times or events. •	Flows can be used to run many tasks in parallel on the grid. •	Flows can also be used to determine the sequence of events for multiple related jobs. The SAS Job Flow Scheduler provides flow orchestration of batch jobs. It uses operating system services to trigger the flow to handle impersonation of the user when it is time for the flow to start execution. A flow can be built using the SAS Management Console or other SAS products such as SAS Data Integration Studio. SAS Job Flow Scheduler includes the ability to run a flow immediately (a.k.a. “Run Now”), or to schedule the flow for some future time/recurrence. •	SASJFS service is the main running service that handles the requests to schedule a flow. It runs on the middle tier as a dedicated thread in the Web Infrastructure Platform, deployed inside sasserver1. It uses services provided by the data store (SAS Content Server) and Metadata Server to read/write the configuration options of the scheduler, the content of the scheduled flows and the history records of executed flows. •	Launcher acts as a gateway between SASJFS and OS Trigger. It is a daemon that accepts HTTP connections using basic authentication (username/password) to start the OS Trigger program as the scheduled user. This avoids the requirement to save end-users’ passwords in the grid provider, for both Windows and Unix. •	OS Trigger is a stand-alone Java program that uses the services of the operating system to handle the triggering of the scheduled flow by providing a call to the Job Flow Orchestrator. On Windows, it uses the Windows Task Scheduler; on UNIX, it uses cron or crontab. •	Job Flow Orchestrator is a stand-alone program that manages the flow orchestration. 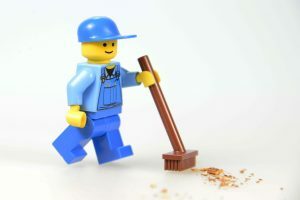 It is invoked by the OS scheduler (as configured by the OS Trigger) with the id of the flow to execute, then it connects to the SASJFS service to read the flow information, the job execution configuration and the credentials to connect to the grid. With that information, it sends jobs for execution to the SAS Workload Orchestrator. Finally, it is responsible for providing the history record for the flow back to SASJFS service. Both can monitor jobs, queues, hosts, services, and logs, and configure hosts, queues, services, user groups, and user resources. The SAS Workload Orchestrator Web Interface is a web application hosted by the SAS Workload Orchestrator process on the grid master host; it can be proxied by the SAS Web Server to always point to the current master in case of failover. Describing what has not changed with the new grid provider is an easy task: everything else. •	User experience is unchanged. SAS programming interfaces to grid have not changed, apart from the lower-level libraries to connect to the new provider. As such, you still have the traditional SAS grid control server, SAS grid nodes, SAS thin client (aka SASGSUB) and the full SAS client (SAS Display Manager). Users can submit jobs or start grid-launched sessions from SAS Enterprise Guide, SAS Studio, SAS Enterprise Miner, etc. •	A directory shared among all grid hosts is still required to share the grid configuration files. •	A high-performance, clustered file system for the SASWORK area and for data libraries is mandatory to guarantee satisfactory performance. What about SAS Grid Manager for Platform? 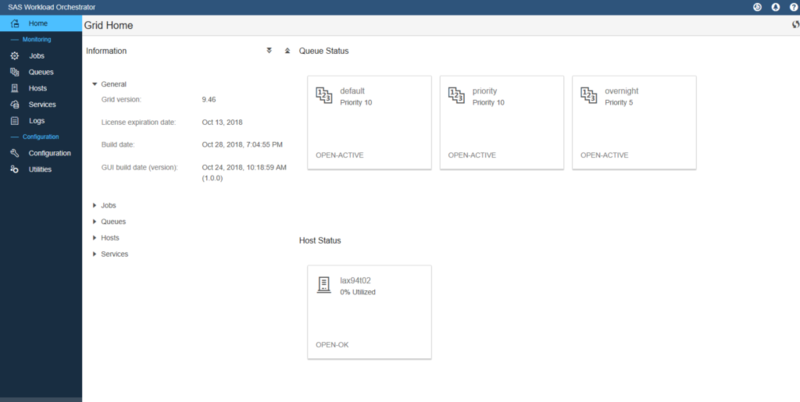 •	The existing management interface, SAS Grid Manager for Platform Module for SAS Environment Manager, has been completely re-designed. The user interface has completely changed, although the functions provided remain the same. •	Grid Management Services (GMS) is not updated to work with the latest release of LSF. Therefore, the SAS Grid Manager plug-in for SAS Management Console is no longer supported. However, the plug-in is included with SAS 9.4M6 if you want to upgrade to SAS 9.4M6 without also upgrading Platform Suite for SAS. Native scheduler, new types of workloads, and more: introducing the new SAS Grid Manager was published on SAS Users. The REST architecture that SAS Viya is built on is, by its nature, open. This is a very powerful thing! In addition, the supplied command-line interfaces (CLIs) add a user-friendly interface to make it easier to make REST calls. Occasionally, however, it is necessary to call REST directly. This can occur when there is (currently) no CLI interface to a piece of functionality, or you wish to run a more complex task from a single command. In the SAS Global Enablement and Learning (GEL) group, as we staged our software images and developed our materials for our SAS Viya training, we found ourselves with some of these needs. As a result, we developed the GEL pyviyatools. 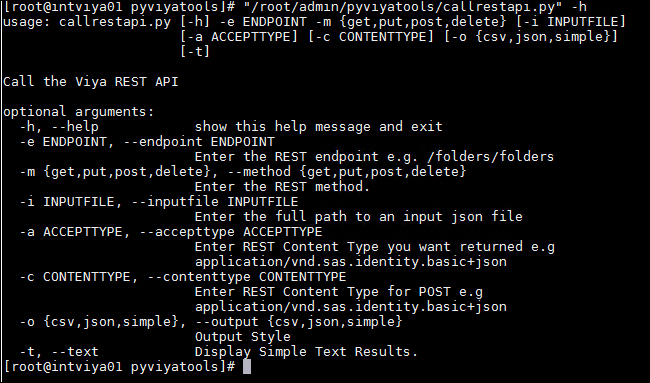 The GEL pyviyatools are a set of Python-based command-line tools that call the SAS Viya REST APIs. The tools can be used to make direct calls to any REST-endpoint (like a cURL command), and as a framework to build additional tools that make multiple rest calls to provide more complex functionality. The tools are designed to be used in conjunction with the sas-admin command line interfaces (CLI). One of the challenges of making REST calls to SAS Viya is getting your authentication token. 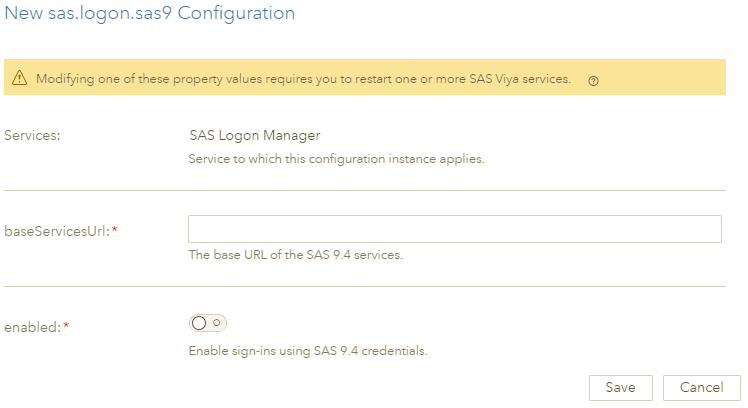 The tools simplify this issue by using the authentication mechanism provided by the SAS Viya command-line interfaces. callrestapi (call_rest_api) is a general tool, and the building block for all the other tools. It calls a function callrestapi() that can also be used from any python program to build more complex tools. With callrestapi, you must pass a method and endpoint. You can optionally pass JSON data for a post request, content type headers, and the -o option to change the style of output. In addition to this basic cURL-like functionality, there are some tools built on top of callrestapi that perform more complex functions. Here are few examples -- check out the GitHub project for a full list. Please try these tools if you need more command-line functions in your SAS Viya environment. In addition, if you want to contribute additional tools built on the framework, please see the CONTRIBUTING.md file in the GitHub repository. You can also report any issues or suggestions via GitHub issues. Introducing Python-based command-line tools for SAS Viya was published on SAS Users. In the space of 20 minutes, Doug took us through the The power and potential of simplicity: SAS 9.4 and Containers was published on SAS Users. To avoid that potential roadblock, we’ll use a different technique of capturing the contents of a directory along with file date stamps. SAS administrators tip: Automatically deleting old SAS logs was published on SAS Users.